Most locals would tell you to try James Cendol when you’re in Sitiawan. I’m asking you to do the same. I’ve been eating his cendol since I was a kid, when the stall was still in front of Fajar Supermarket (now The Store supermarket). Back then a bowl only cost RM1, and my brother and I would have two bowls each. 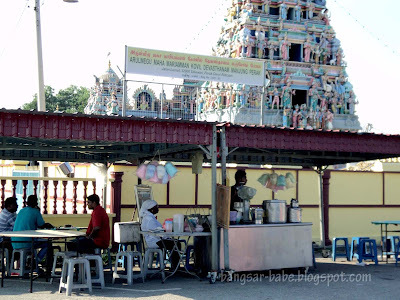 6 years ago, the stall relocated to the entrance of the Hindu temple next to The Store. Currently, there are two cendol stalls outside the temple – but you can easily spot James’ stall with the red bow-tie trademark. 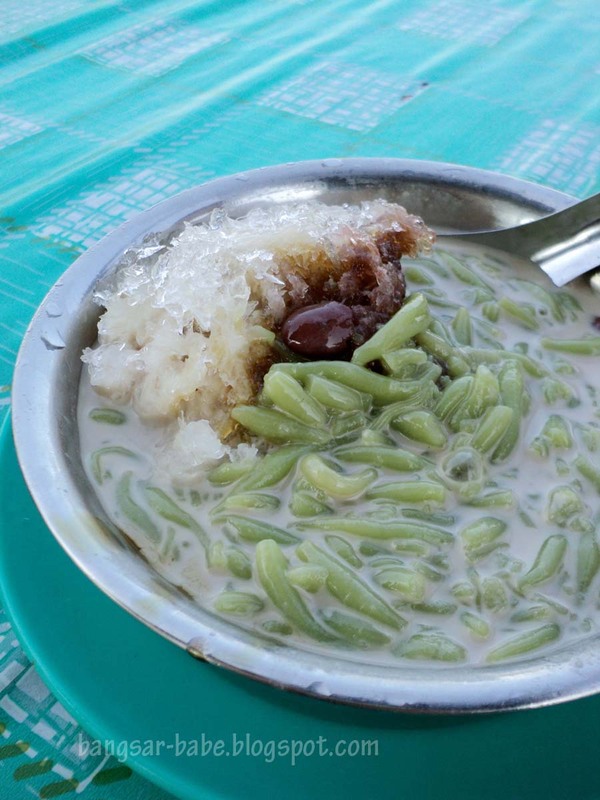 The secret to a good cendol lies in the palm sugar, coconut milk and green cendol strands – this cendol has it all. Add a dollop of pulut rice and you are soon on your way to cendol heaven. 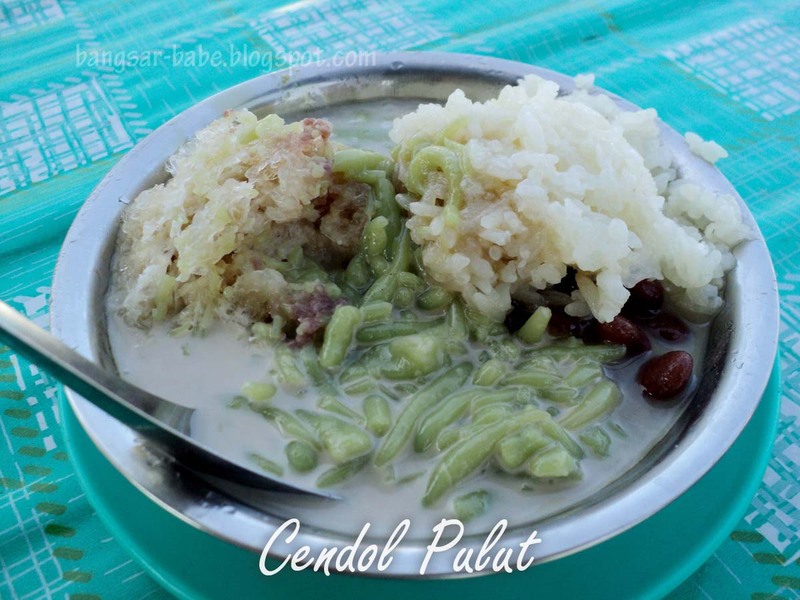 One of the things that make James Cendol so special is his pulut rice. Unlike most pulut rice that tends to be too hard, his version is fragrant and slightly chewy, giving the cendol a nice bite. These days, it is his wife, Devi who mans the stall with their son as James is in Ipoh on a personal business. Auntie still remembers me, and how greedy I was as a kid. Heck, I’m still no different, as I had two bowls of cendol with pulut (RM1.60 a bowl)! There’s nothing like a bowl of rich, refreshing cendol on a hot day, don’t you think? If you want, you can opt for the cendol without pulut rice, which cost RM1.50. Verdict: Try this if you happen to be in Sitiawan. I just can’t get enough! In front of Maha Mariamman Temple (next to The Store Supermarket). definitely it will kill the thirst! 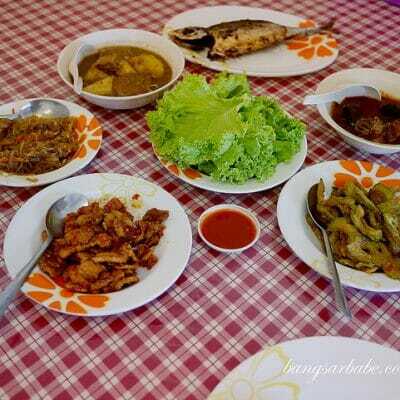 I prefer Penang's version to this though …. But still, this is good enough. Oh I remember this! I think it must have been more than 15 years ago that I had it! Complete with pulut… Really nice and chewy, and extremely cooling on a hot afternoon! You're from Sitiawan girl? Cendol my favourite Malaysian dessert! Any variety will do. Good to have this post for James Cendol in Sitiawan, else many people will be confused which is the right stall to go. Horlic – Yeah…even I get confused sometimes. worldwindows – I usually cannot stand cendols with big pieces of ice inside. Kills the experience. J2Kfm – Hehehe…both different la. But both also good. If I were to choose, Penang version is slightly nicer. We were at Sitiawan last Dec when we went back to visit my inlaws’ relatives. MIL brought us to eat @ James Cendol. I used to think Melaka serves the best cendol until I tried James. Only one word for James Cendol – AWESOME! We just returned from our 2nd trip last week. For those interested to try it, do note that their competitor (nearer to The Store) is also wearing similar white “uniform” now.